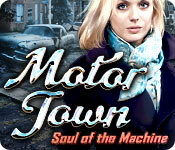 Motor Town: Soul of the Machine is rated 4.0 out of 5 by 72. Rated 5 out of 5 by charlene_lane from WHAT AN AWESOME GAME REVIEW OF COMPLETED GAME I was put on to this game by another fishie, Didersham, so thank you. Honestly, I can't recommend this game high enough. There is: * Voiceovers (with dialogue); * Casual and Expert modes of play; * Journal; * Slight interactive HOS. The graphics are gritty and dirty which made the ambiance of the game perfect. Everywhere is clear to see and there are no dark or blurry scenes at all. Sound is very good. You hear a lot of the wind howling and footsteps, which was kind of eerie, but not scary. The music is mainly piano and plays quietly in the background. 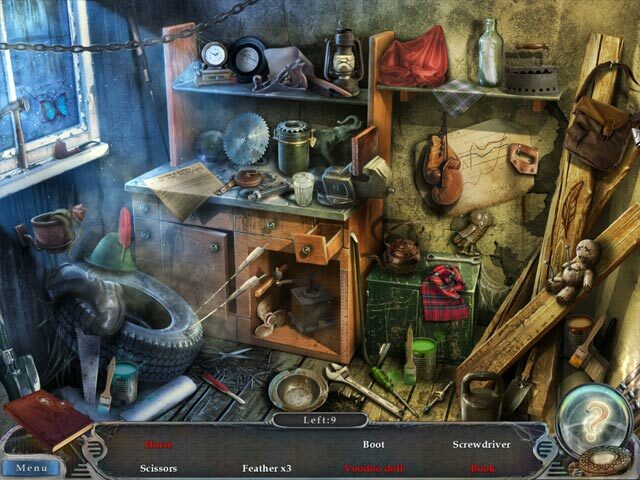 The hidden object games are slightly interactive which you will do twice. These are not too hard or frustrating because items are clear to see and grab. Each HOS takes about a couple of minutes to do. I liked the mini-games which had a good variety. These were not taxing or too hard and I was able to move on quickly to the next scene. All up the game took me about 5 hours to do and I loved every minute of it. I wished it had been longer because I was really enjoying myself. I liked playing a journalist and meeting all the other characters. Its a fun game and I'm totally sure you will enjoy it. Happy playing fishies. This game is a gem. Rated 5 out of 5 by loramattice50 from great game the game is really good but im stuck on the locker puzzle. Rated 5 out of 5 by SweetJim from Great game My only problem and still is, I was never able to find out where the last candle is or the combo to the locker door. I haven't a clue what the numbers on the last clue page stands for. Rated 5 out of 5 by Streva from Fun Game and a Unique Story! Rating: 4.5 Very good game! It kept my interest with a rather unbelievable, but well written story about cars having souls and it had a proper ending. Yea! The game moves pretty fast, I played the advance mode and I only had to use the directional hint button twice. Some of the puzzles were interesting, not too many IHO's, and it was a nice long game with a lot of different scenes--you definitely get your money's worth. I noticed a couple of reviewers had technical glitches, so before buying the game, I made sure to complete the trial version. The game, cursors, and videos worked perfectly on my desktop computer. The puzzles caught me off guard a couple of times. Most of them were so easy that I was over-thinking them, and then they threw in a couple of doozies that required some real commitment to figure out. Made the game less predictive and more interesting. I also appreciated the items you pick up being identified and not automatically going into the inventory. Also, getting to keep and reuse a couple of tools, at least for a little while, added a touch of common sense. (Developers: Please let me keep and reuse hammers and screw drivers!) I thought the ambient noise was awful, like loud footsteps all the time when you weren't walking and sudden threatening sounds when nothing was going on. But you can turn it down or off, so it's not really an issue. Most of the male voice actors were soooo dramatic which made me laugh--no Oscars for those guys! I thought the graphics and animation were very well done. Overall, I really enjoyed playing this game and the story kept me interested to the end. 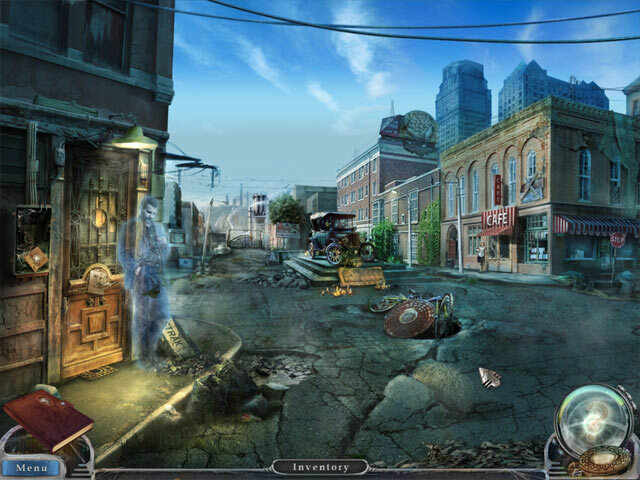 Rated 5 out of 5 by BlackWaterRules from Interesting Hidden Object Adventure The graphics are not bad, nothing spectacular. The characters are realistic, especially that gorgeous blonde reporter. The sound unfortunately left me laughing. The voice overs were great but I heard the male voice speaking when the female's lips were moving and the female voice when the male was moving his lips. Background noise, like care engines, were realistic There was some eerie creepy music throughout and some whodunit music to lend to the mood. A cub reporter, tired of covering celebrity galas and shenanigans, asks for a harder and more meaningful assignement. Her boss grants her this. She seeks out the person she is to interview, the inventor Paul and travels to a seedy neighborhood where she encounters all manner of things. 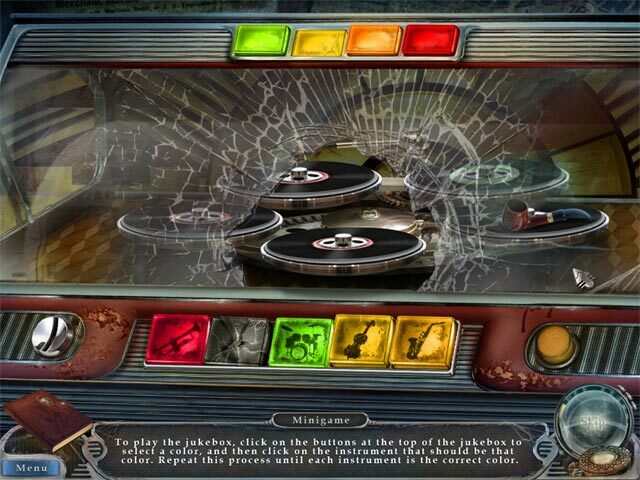 There are 10 slides to collect, list type interactive hidden object scenes and fun mini puzzles where you have to find pieces throughout the game in order to play them. Your tools are a journal with a map. Fun game, an immediate buy for me. Rated 5 out of 5 by crisgori from Loved it Nice graphics, well done HOS, interesting puzzles, good length, backtracking and no sparkles (neither HOS) in advanced mode. I couldn’t ask for more in a SE. Rated 5 out of 5 by whitewolf2226 from A fluid game, that keeps you wanting to play more. You're a female detective, not sure why they don't give the male/female option, even though I am female, in alot of these games, but the game is one to savor indeed. Unlike the last game I played, where they give you a rubic's cube kind of mini puzzle, rotate this knob, rotate that one, to get all the colors to match certain areas, to the point of overkill, this game keeps you interested in all aspects of it . I am only writing reviews for those games I like, so I can keep a journal when I want to replay my favs., this is a must. I have many games, but some are games never to be played again, this is a great one to keep replaying, without boredom. You don't have to go back and forth too far to get your jobs done, and once an area is complete you don't have to go back there. Pretty simple, to know where not to look. I did play very casually in this one,because it was just so enjoyable. I was not on a mission to hurry up and finish, and usually do in one shot, so it is not a short game, which those make me feel as if I was cheated, this will not. I'm a 51 year old female, who worked in a doctor's office, and have no patience, but for this game, I had plenty! Enjoy! I do tend to play casual, hint button works well, but really didn't need to use it, except for very cleverly hidden objects two or three times. Rated 5 out of 5 by Plientje from what a great game!! I totally agree with the review of Sheerija! This is one heck of a game!! I loved every single second, and I played about 5 hours, I don't play fast. The storyline is fantastic, I was completly engrossed by it! Once you get out of the house (this only happens after the demo ends), the game only gets better. There are tons and tons of scenes. But they are divided into different parts, once you've finished a part, you don't have to go back there anymore, which keeps the running around under control. The HOS are partially interactive, and can be quite challenging, but in a very good and fun way. I absolutely loved those! The puzzles I liked a lot, you had to use your braincells for them! I really had a great time with this game, and hope you will too! Enjoy! Rated 5 out of 5 by lw2016 from Marvelous even without Walkthrough I loved the graphics and the storyline in Motor city. Even though many people complained about the missing walkthrough this is an excellent game and walkthroughs can be found in the internet. Rated 5 out of 5 by sportygal2009 from Intriguing Storyline Definitely Out There - Review Of Completed Game Story: You take on the role of a young journalist who is desperate for a big story so you accept the offer to try and get an interview with the famous inventor Paul Camping whose latest invention is to try and create cars with souls. There is widescreen at least for me. Displayed just fine on my 20 inch monitor. No tech issues. 2 play modes: I played expert mode. There are no sparkles not even for the HOS. There are black bar tips. HOS: A total of 34 locations. These are definitely on the Sanford & Son junkyard pile side however I got through them with little difficulty but did have to use a few hints here. They are also interactive. Hint is also helpful outside of HOS. Takes a few minutes for charge up. PUZZLES: A total of 21 puzzles I didn't come across anything new. The usual run of the mill but found most doable but did skip a couple of these. Skip also takes a few minutes. OVERALL IMPRESSION: Well I was hooked to this from the get go while yes the story line is a bit "out there" but I sure enjoyed this one. I didn't stop playing this until I got to the end. The graphics are definitely grungy/creepy style. I found them to be quite nice. The characters and voice overs a very well done here. I just thought this game had a lot to do and places to go. At first this started out to where you use inventory right away but the further I moved along in the game a lot of back tracking and I thought I map would have been helpful. As for the game length I'm one that takes my time and don't rush through my games and I found this to be a good length @ 6 1/2 hours for me. May be more/less for you though. Overall 5 stars from me. Thanks Big Fish and developer for a great game here with a bit of a different story line. As always, give it a whirl and decide for yourself.